Have you or a loved one been involved in an accident with a big rig? Call us for a free consultation. Being involved in a truck accident can be a devastating experience. You and others who are with you – friends and family – may suffer serious injuries. Those injuries could require continuing medical care, and some may be permanent. If you have been injured in a truck accident, don’t let the insurance companies push you around. 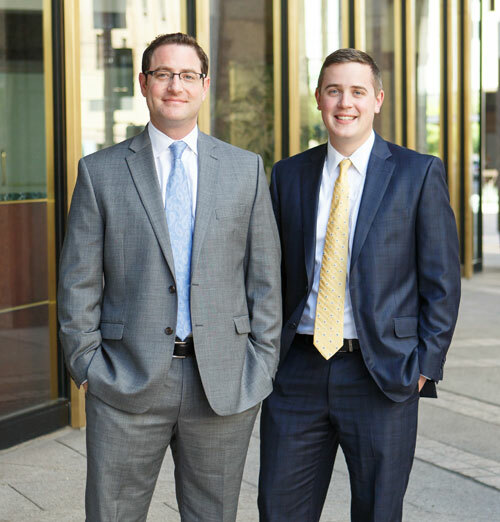 At Black Wynn, our attorneys have years of experience successfully representing accident victims. We are ready to fight for your rights, and to get you the compensation you deserve. Call us to schedule a free, no obligation consultation. This includes traveling above the speed limit, as well as going too fast in light of road and weather conditions. Drugs and alcohol use. According to the FMCSA, drugs and/or alcohol is a factor in around 20% of large truck accidents. Illegal maneuvers. Lane changes, illegal turns, etc. Inattention and distracted driving. Phone and texting, among others. Driver fatigue. Federal regulations dictate how many hours a truck driver can be on the road. Pressure from the employer, overemphasis on the financial bottom line and other factors can lead the driver and the trucking company to ignore the rules and violate those regulations. In addition, many truck crashes result from bad tires, lack of maintenance, improper maintenance, overweight trucks, lack of necessary safety devices (lights, reflectors, etc. ), and improper loading of cargo. Speeding is a factor in a large percentage of truck accidents. The computer captures trouble codes indicating issues with the truck’s performance. An onboard computer tracks brake use, as well as throttle and clutch use, and can provide insight into the manner in which the truck was being driving prior to the crash. The data includes the truck operation records. While the computer records do not preempt other types of evidence (for example, eyewitness accounts and the testimony of accident reconstruction experts), they can provide an important source of information on the crash, and on the issue of who was at fault. Compensatory damages in truck accident cases will include property damage, past and future medical expenses, past and future loss of income and wages, and past and future pain and suffering. Pain and suffering is often the most substantial element in a damage claim, but there is no set formula that will establish the amount of the award. Your personal injury attorney can give you the best estimate of that amount, based upon his past experience with similar cases. Punitive damages, designed to punish the defendant, may be awarded, although they require more than simple negligent behavior. Thousands of people die in truck accidents each year, and tens of thousands are injured. Tractor trailers, semis and other large trucks typically weigh 20 to 30 times more than a passenger car. Not surprisingly, the majority of injuries and deaths are to occupants of passenger cars involved in these crashes. If you have been injured, or if a loved one has been killed in a truck accident, help is available. Trucking companies and their insurance carriers spend a fortune each year trying to avoid paying for their mistakes. But you don’t have to allow them to get away with it in your case. Black Wynn is a Phoenix personal injury law firm. We represent clients injured in large truck accidents. If you have suffered an injury, call us to find out how much your case is worth. Your initial consultation is free.